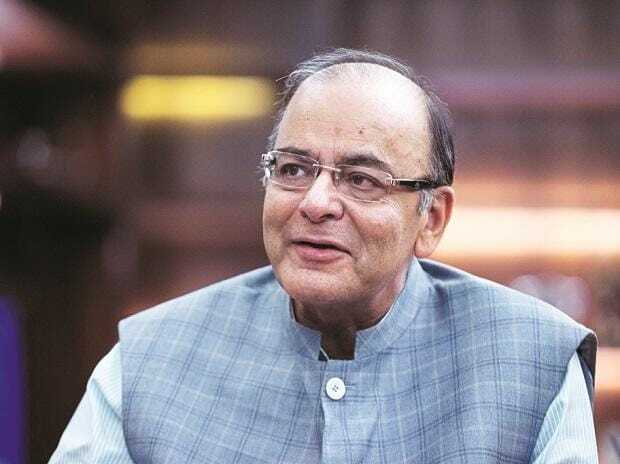 Clearing the air around the Rafale deal, Finance Minister Arun Jaitley on Wednesday said that the present NDA government has negotiated hard to keep prices down by at least 20 per cent for each aircraft as per 2016 deal, compared to that of the UPA in 2007. In an exclusive interview to ANI, Jaitley underlined the fact that each of these aircraft was coming fully loaded and the deal is government-to-government, without involving anyone in between. “Can you compare a basic aircraft’s pricing with a loaded aircraft? Can you compare a simple aircraft with a weaponised aircraft?... If in 2012 they had come to an agreement, the first would have been delivered in 2017. From 2007 to 2017 the escalations would have gone up, along with a foreign exchange variation. So there is India specific add-ons and the foreign exchange variants… Is the Congress party aware that if you take the 2007 L1 offer and the escalation clause without the add-ons, the price negotiated in 2015-16 is cheaper?” Jaitley said. “Let us first come to the pricing. My question therefore is, if you are fully aware -- Mr Anthony fully read the file and abandoned the contract -- he would tell his party that the L1 offer of 2007 had a basic 2007 price plus escalation plus currency variation. In 2015 or 16, this would have been 9 per cent costlier than what the basic aircraft price of 2016 negotiated was… Loaded to unloaded, you compare the price again. The 2016 price is 20% cheaper than the 2007 offer. So we got it cheaper,” Jaitley asserted. Slamming Rahul Gandhi’s charge of a more expensive final Rafale jet being purchased by the present government, Jaitley said that every fact uttered by Congress is factually false. “Every fact that they have said on pricing is factually false... Mr Rahul Gandhi himself has given seven different prices in different speeches with regard to the Rafale, that is the 2007 offer. And the simple case is they have made it as if it is a kindergarten or primary school debate,” Jaitley said. The Finance Minister asserted that no rules were bypassed and the Cabinet Committee on Security approval was taken for the deal, and the negotiations took about 14 months to complete. He attacked the Congress for compromising the nation’s security through policy paralysis and not going ahead with a deal after the tending process was complete. He challenged the Congress party to produce evidence that the deal was not good for the country and attacked Rahul Gandhi for twisting the facts of the deal. “Any responsible politician will know that government to government transactions are always clean. Governments don’t pay kickbacks. It’s a transaction between Government of India and Government of France, publically made and publically declared terms that we will give you an offer better than 2007 and then enter into. But they had already gone home. If you can go to the extent of misquoting President Macron, and saying that he warned me there is no secrecy clause, the French Government denied it, the GoI showed the secrecy clause in Parliament and then you turn around and say “hoga par main nahin manta” (it must be there but I don’t believe it). If that is the cussed approach, that you say look my party has a legacy of corruption in defence deals, let me make a faint effort to say everybody is corrupt. If that is the political strategy, then please don’t advise us to show official files,” Jaitley said. Congress party, led by Rahul Gandhi, has launched an attack on Prime Minister Narendra Modi over the controversial Rafale deal, alleging a "scam" in the deal with France. Gandhi has also accused Defence Minister Nirmala Sitharaman of doing a "flip-flop" on the secrecy clause. The Congress has also accused the government of procuring the fighter jets at a higher cost and benefitting private parties in the deal.